It seems that every time you check the news, there’s another merger in the health care system. Recently, it has been mergers between large insurance carriers, and now it is hospital systems once again. Last week it was announced that Lawrence and Memorial (L+M) Healthcare would join the Yale New Haven Health System. 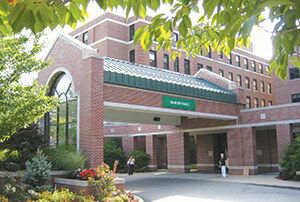 L+M Healthcare includes L+M Hospital in New London and Westerly Hospital in Rhode Island. These hospitals would join Yale’s network which includes most of the state’s hospitals along the I-95 corridor, including Bridgeport, Greenwich and Yale-New Haven hospitals, as well as some services at Milford Hospital. The next day, it was announced that Day Kimball Hospital in Putnam is exploring an affiliation with Hartford HealthCare. This would expand Hartford HealthCare’s reach all the way east towards the Rhode Island border. Hartford HealthCare already includes Hartford Hospital, the Hospital of Central Connecticut in New Britain and Southington, MidState Medical Center in Meriden, Backus Hospital in Norwich and Windham Community Memorial Hospital. Several hospitals are looking to merge with out-of-state for-profit corporations. Waterbury Hospital and the Eastern Connecticut Health Network, the parent company of Manchester Memorial and Rockville General Hospitals, are beginning the process of being acquired by California-based Prospect Medical Holdings. These hospitals, as well as St. Mary’s Hospital in Waterbury and Bristol Hospital, were in the process of being acquired by Tenet Healthcare last year. That was until Tenet ended their bid due to what they called onerous conditions demanded by the Office of Healthcare Access and the Attorney General’s Office. One last set of mergers include Johnson Memorial Hospital in Stafford, which is in bankruptcy protection and is seeking to have its assets taken over by St. Francis Care, the parent of St. Francis Hospital in Hartford. St. Francis Care is seeking to join Trinity Health, a large Catholic health system. If these deals go through, fewer than half the 29 acute-care hospitals in the state would be independent. As the big systems like Hartford and Yale take more and more, other hospitals are seeking to join larger networks to avoid being left behind. Last year, a group of hospitals around the state started the Value Care Alliance to try to share some costs while maintaining local control. All of these mergers have to go through an approval process. Hospital officials estimate that it will be at least a year before the regulatory processes are finished. For the L+M deal, the Rhode Island and Connecticut health departments, attorneys general and the Federal Trade Commission will all examine and decide on the proposal. Since the official filings for the merger will occur sometime this summer, new regulations on hospital sales in SB 811 will not be a factor. However, state and federal regulators have the power and responsibility to keep the public interest in the forefront. This entry was posted in Max Friedman and tagged Hospitals, Mergers. Bookmark the permalink.